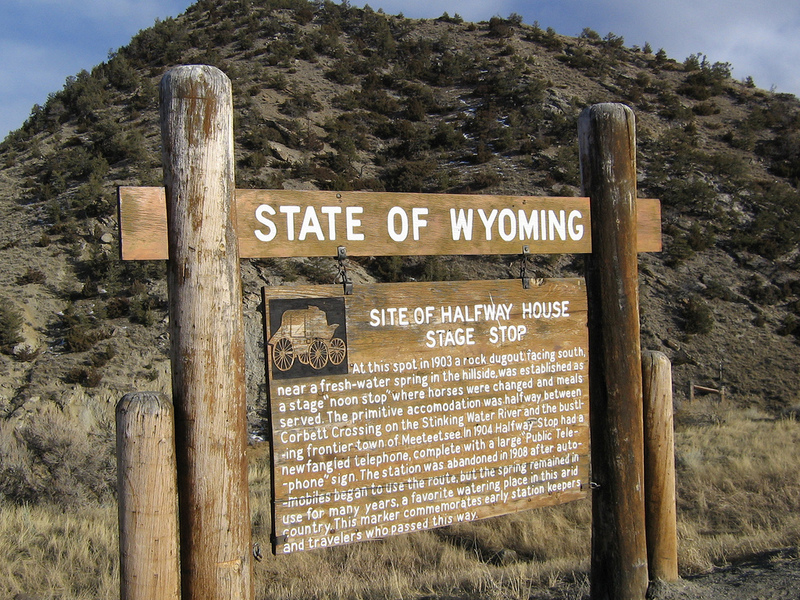 Site of Halfway House Stage Stop; historic marker between Cody and Meeteetse, Wyoming. Photo by Laura Crossett/Flickr (Noncommercial Use Permitted with Attribution/Share Alike). At this spot in 1903 a rock dugout facing south, near a fresh-water spring in the hillside, was established as a stage "noon stop" where horses were changed and meals served. The primitive accommodation was a halfway between Corbett Crossing on the Stinking Water River and the bustling frontier town of Meeteetsee. In 1904 Halfway Stop had a new fangled telephone, complete with a large "Public Tele-phone" sign. The station was abandoned in 1908 after auto-mobiles began to use the route, but the spring remained in use for many years, a favorite watering place in this arid country. This marker commemorates early station keepers and travelers who passed this way. 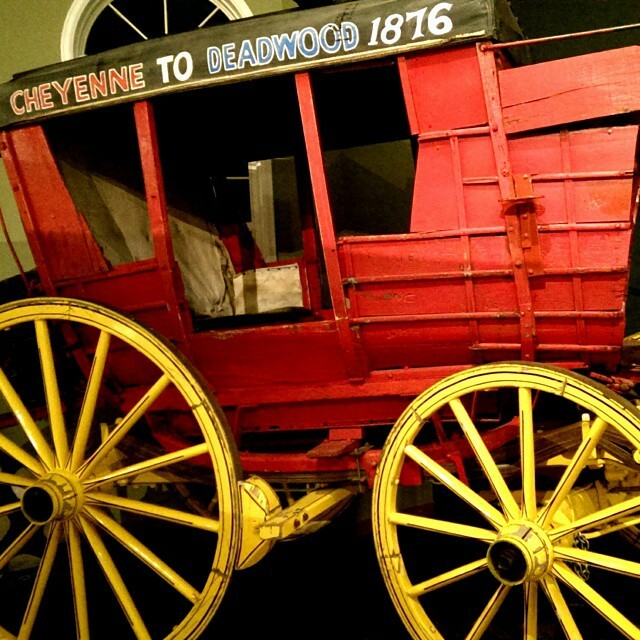 Cheyenne to Deadwood stagecoach; a 50 mile trip! Photo by Sheila Scarborough/Flickr (use permitted with attribution).